Safety is paramount when it comes to travelling in the car and even more so when you have young children. When we picked our pushchair system during pregnancy, we were lucky to find a great deal which included a car seat. When it came to Jack needing a new one, we spent ages looking for the right one before settling with the one we have now. 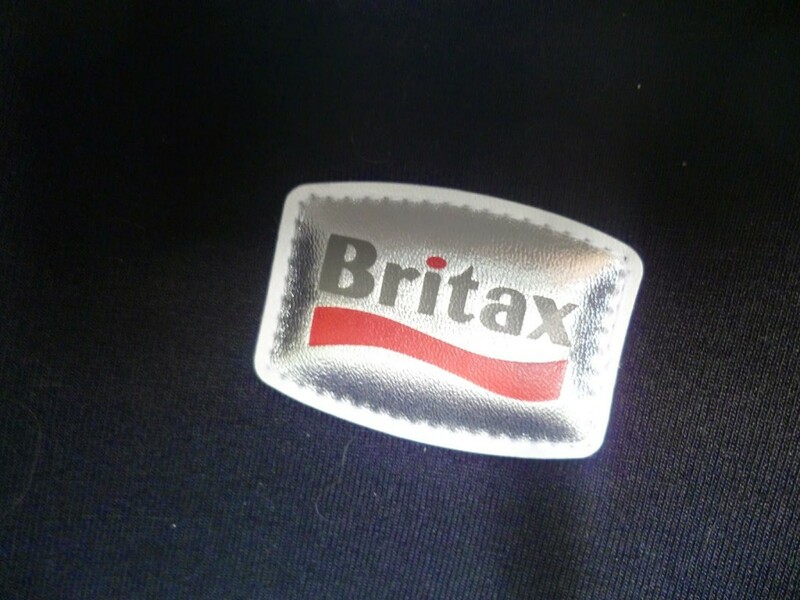 You may have seen me mention before that I am a Britax Mumbassador which means I often share Britax news or campaigns with you, occasionally hold giveaways or do the odd product review. 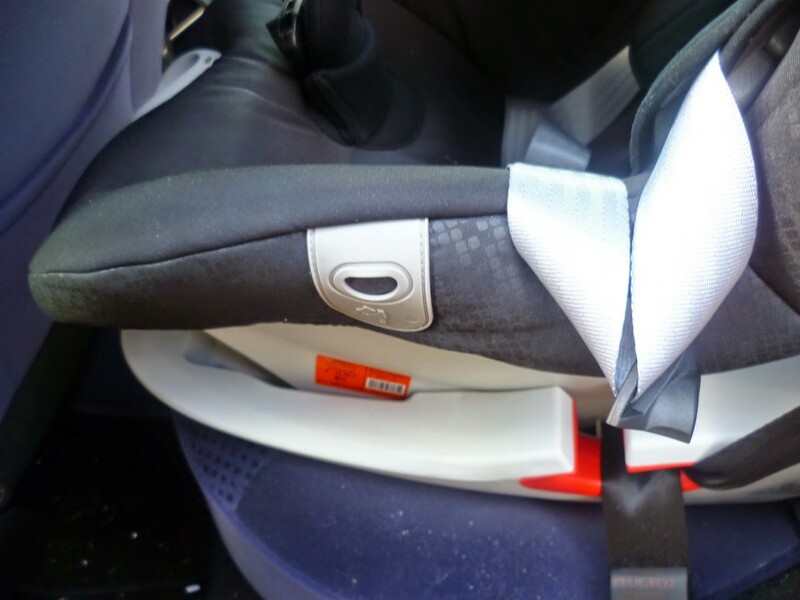 Britax recently sent me the Britax King II LS Car Seat to test out – and that we surely did! 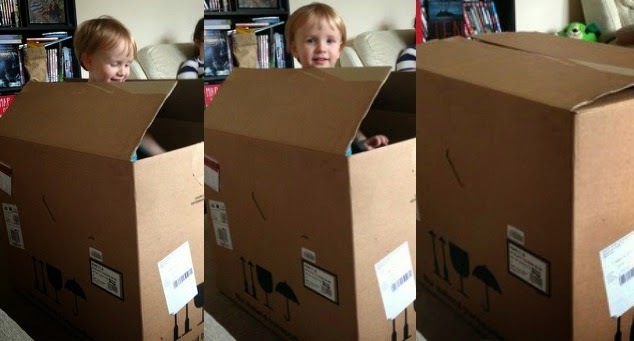 When it first arrived, Jack instantly claimed the box as his own and had a great time throwing things in there and popping his head in and out of it – Steve managed to capture these shots but Jack insisted on hiding inside a lot of the time! We decided that in order to give this the best review we could, we would pop it in the car a couple of days before our drive to Bluestone – thus we could test it out on a couple of small journeys before really putting it to the test on the long drive to Pembrokeshire. First things first, I love the simplicity of the colours – black and silver with red accents. 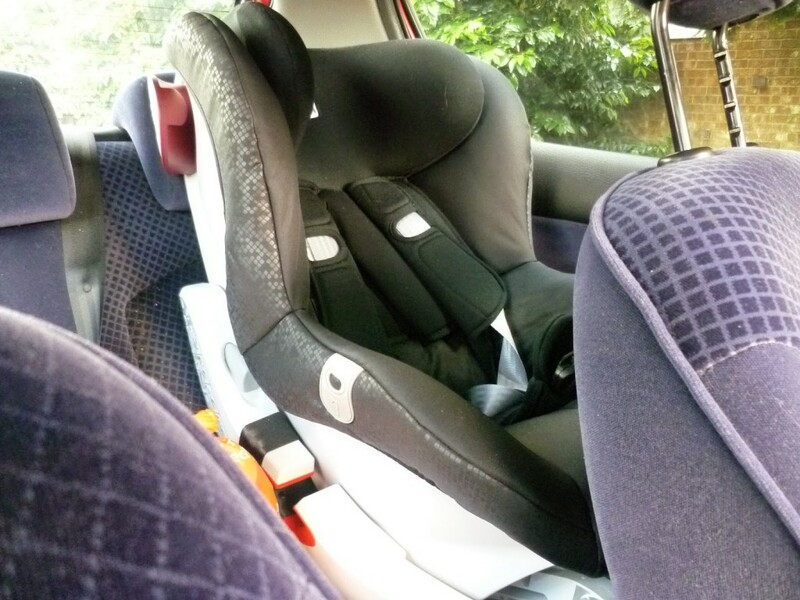 I see so many black car seats with bright colour panels on the seating part – really? 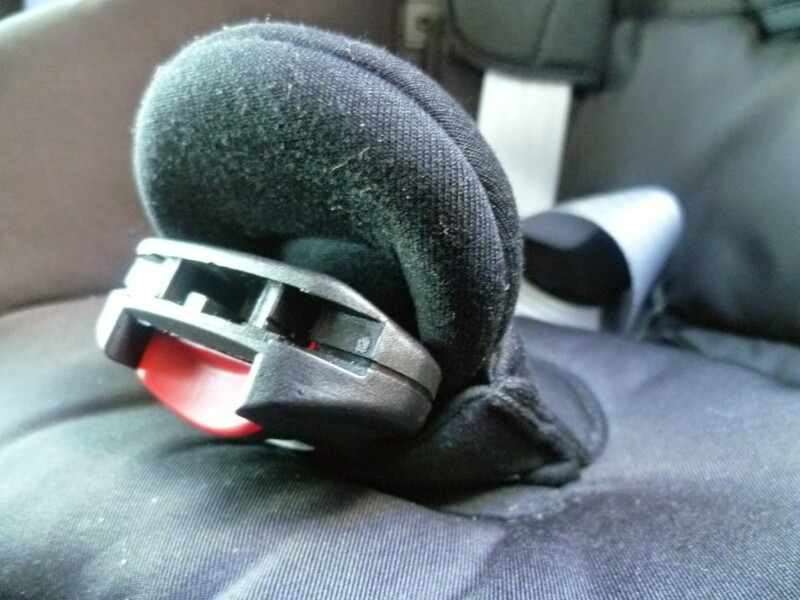 Car seats really don’t have to be aesthetically pleasing as long as they do the job properly and keep your child safe. That being said, this has an attractive design and the instructions label on the side is very clear – making it easy to work out how it needs to be put into the car. The Britax King II LS Car Seat is designed for ages 9 months to 4 years which means Jack is currently using it at the optimum time, being right in between these ages. The weight limit is 9kg to 18kg. The car seat itself has measurements of 67cm height, 45cm width, 54cm depth and the car seat itself weighs 10.3kg. 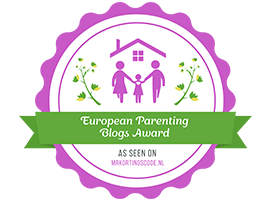 This may seem a little heavy when putting into the car as most car seats do – however, when you consider it seats a child up to 18kg and you would probably be lifting them in to put them into the car seat…it really isn’t heavy at all. The car seat is forward facing with a light and sound indicator which helps you to harness your child to the right tension for your journey – an innovative feature that really makes the journey safe and comfortable. 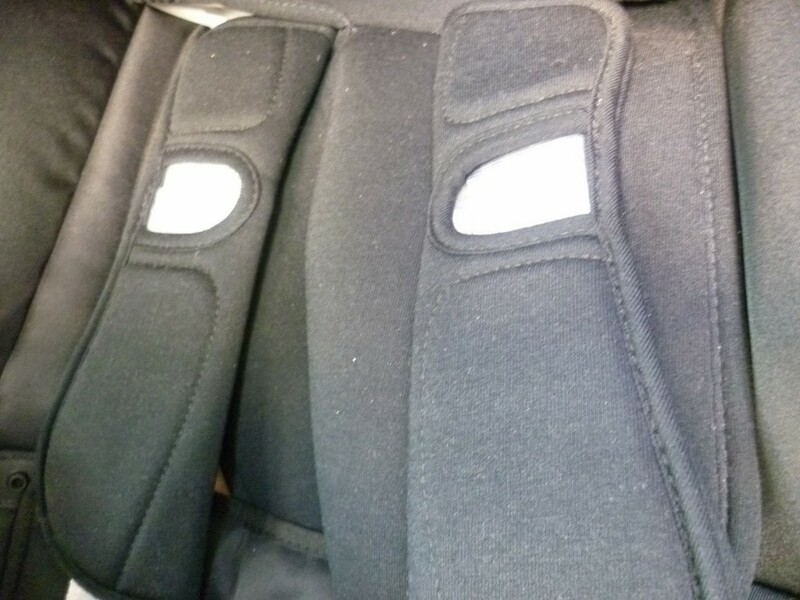 There is also a patented seat belt tensioning system ensuring the seat is tight and secure in the car. There is a five point safety harness with one pull adjustment, making it easy to adjust the harness to ensure it is the perfect fit for your child. I personally struggled with the safety harness, I couldn’t do it up at first. It was really tough so Steve took over – I have got the hang of it now but it is worth bearing in mind. As well as safety, comfort is key – and this seat offers comfort in spades. With soft padded full side wings, a softly padded cover and performance chest pads, maximum comfort is guaranteed whilst safety remains paramount. A feature that we really liked was the number of reclining positions. Our car seat only has the upright position plus one recline whereas the Britax King II LS seat has four – this was perfect on our long trip to Wales as it meant Jack could sleep without being disturbed. Safety and comfort is clearly key when it comes to this car seat and we found the trip to Bluestone and back a pleasant experience with it. Jack was quite happy on the drive down and didn’t seem to get fidgety at all – a clear sign he is comfortable! He even slept for about an hour – and he looked so comfortable, I wished I could do the same in such a comfy chair! 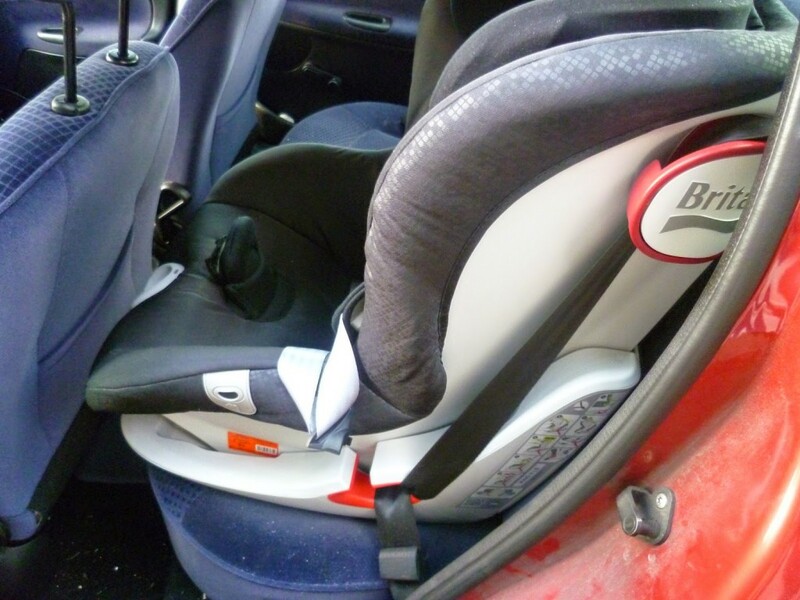 I am very impressed with the Britax King II LS car seat. Whilst I still adore the one we bought a while back after plenty of research, this car seat definitely exceeds it in quality – with the innovative light and sound indicator to the sheer number of recline positions (perfect for napping children), this product cannot be faulted. The only thing I can really say is that practice makes perfect when it comes to doing up the harness – I now have it down pat! The Britax King II LS car seat is a Kiddicare exclusive and is available to buy here for £170 with a 12 month guarantee and Kiddicare price guarantee. Item was sent to us for the purpose of review.